This weekend sees the second of the Railway’s steam and diesel weekends with the railcar turns taken over by locomotive hauled passenger stock, in response to requests from diesel enthusiasts for more diesel locomotive haulage. From the first service in the morning at 09.00 to the last diesel service of the day on Saturday, motive power will be provided by English Electric Class 37 37 075. This means that there is a full 2 train service in operation. 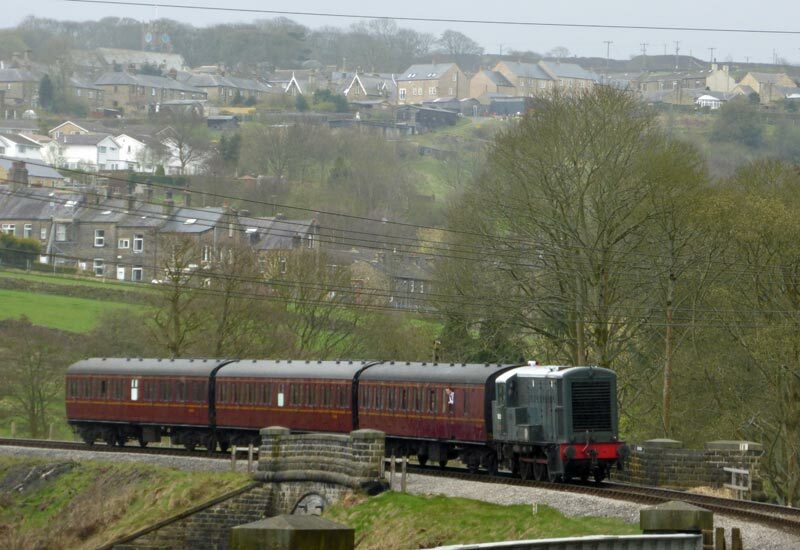 Sunday sees the return of the Blue Timetable, 2 steam train operation but the early morning diesel service, starting at 09.00 from Oxenhope, will have English Electric 0-6-0 D0226 ‘Vulcan’ (seen here on the first weekend’s diesel locomotive services in April), on its second outing on passenger duty, until steam takes over for the rest of the day with the 13.15 departure from Oxenhope. On the steam service, USATC S160 2-8-0 5820 will be in operation on both days being joined on Sunday by MR 0-6-0 4F 43924.